Looking to satisfy your sweet tooth and cool off after a hot day… Try this yummy ice cream recipe or beat the heat with a shrub syrup spritzer! 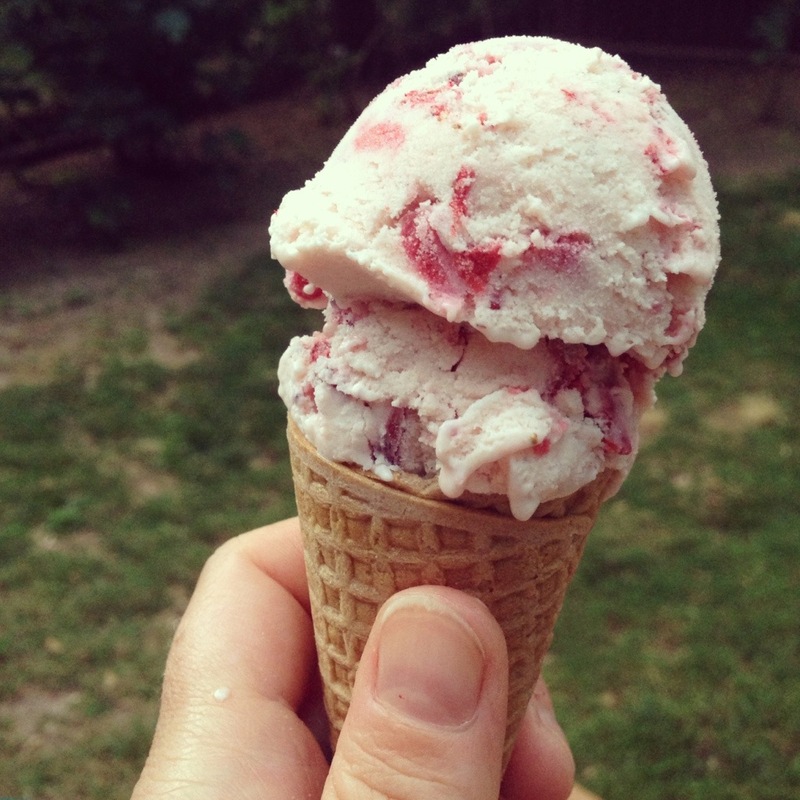 Strawberry Ice Cream – this recipe turned out great! My ice cream maker is an attachment for my KitchenAid mixer and I love it. I would love to go old school and hand crank some ice cream, too. Strawberry Shrub– have you ever made a shrub syrup before? This was my first time and it was amazing! I loved this link for its thorough history and it offers instructions on using a boiled sugar method and cold process. I concocted mine using the boiled sugar and added thyme and balsamic vinegar. It is delicious and perfectly tart and sweet. I’ve been mixing it with a little soda water for an afternoon non-alcoholic treat and also we’ve been whipping up some mean white wine spritzers- yes! we are bringing them back. 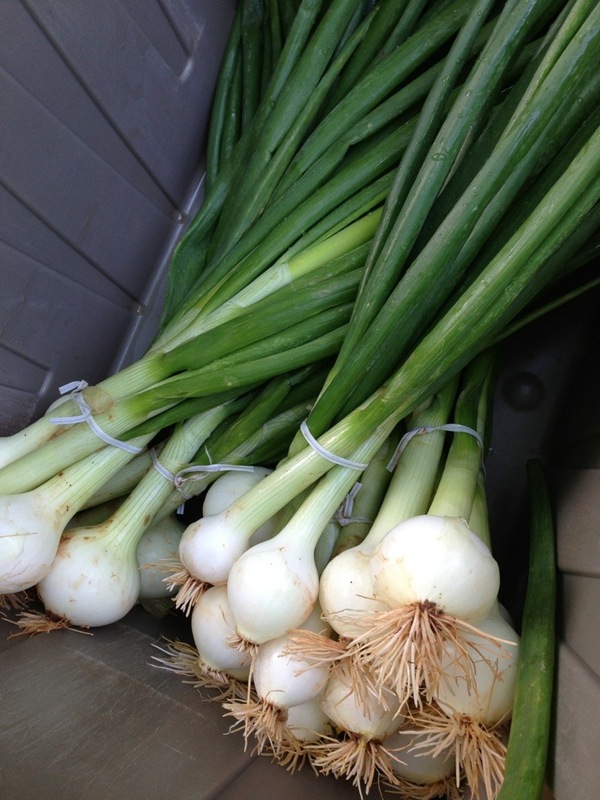 Delicious little young onions, you have my heart. Mild, sweet and oh so tender, we’ve been enjoying them prepared by a simple butter-braising or baked with whipped eggs and cheese. Happy May, everyone! 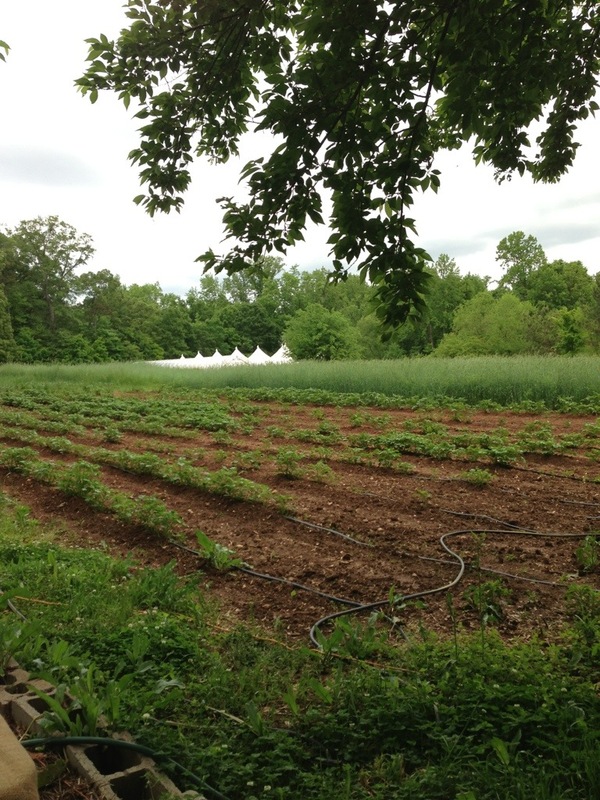 And cheers to the start of a wonderful CSA season! 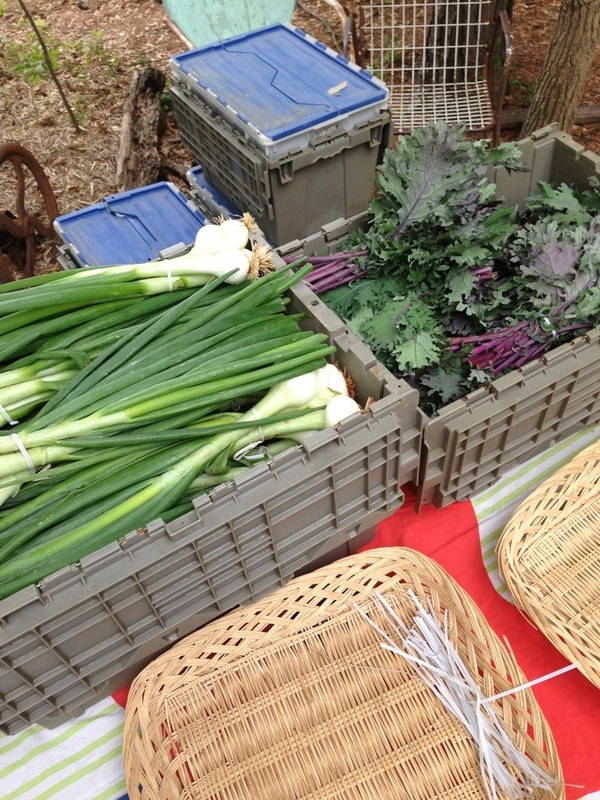 We kicked off our first CSA pickup of the season on May 1 and it was wonderful to see so many new and familiar faces. 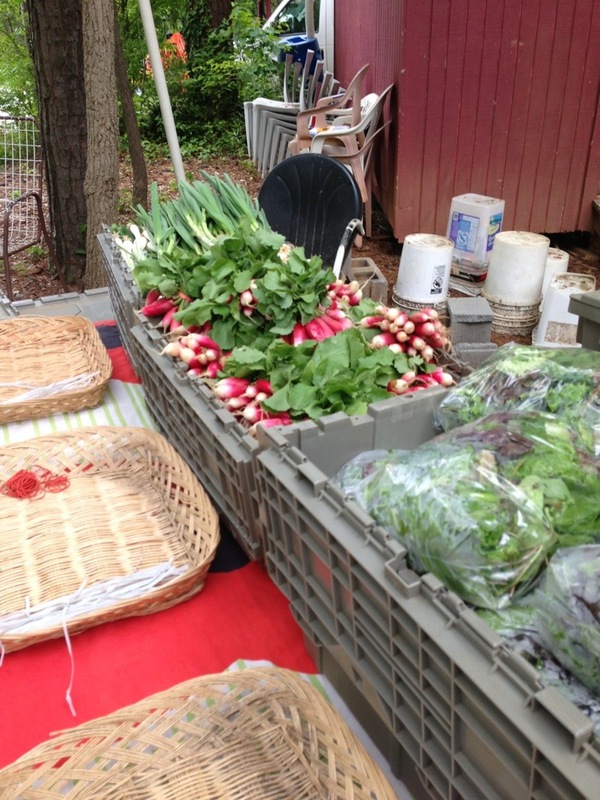 Shares were filled with yummy salad greens, beautiful and bright radishes, green garlic and spring onions. Evie’s Country Gardens filled our baskets with farm fresh eggs this week and Frolona Farm visited to supply meat share holders with 100% grassfed beef. This is going to be a great season! Cheers to good food and sharing the love! 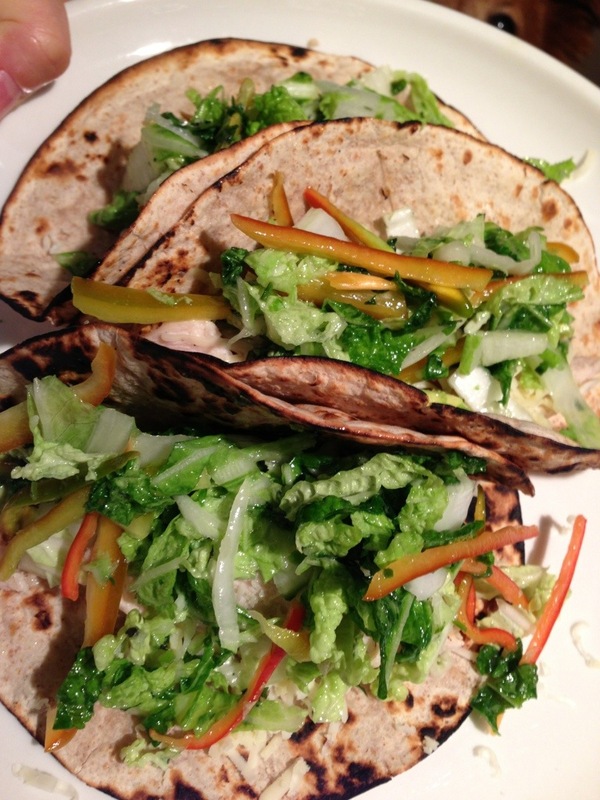 This tasty Napa cabbage slaw was inspired by Taco Tuesday as we needed a little crunch and zing to top off our leftover roasted chicken tacos. I’m still working on our back stock of peppers, so I added some sliced for an added sweetness and color. It was the perfect accompaniment to the roast chicken and would fair well with any protein or on its own. Whisk vinaigrette ingredients together and toss with cabbage and peppers. That’s it! It’s “Spaghetti Thursdays” in our household and I’m always looking for ways to keep things interesting. Now this dish isn’t technically “spaghetti”, but orzo is a pasta, so that counts, right? Tossed with a light, lemony vinaigrette and fresh basil, this dish pairs well with fish or chicken and is a perfect summer meal. It can stand up on it’s own too… crumble a little chevre or feta on top and it’s dressed up and ready as the main course! Cook orzo as directed and set aside. In a large bowl, whisk together olive oil, lemon juice and zest, and garlic. Add a little salt and pepper to the dressing to taste. Add orzo, tomatoes and basil and toss to combine. Add more salt and pepper to taste. Here is the weekly letter from Joe, and stay tuned because we’re going to have a few recipes to share later this week. Also, if you have any recipes or ideas that you’d like to share please let us know. I hope all is well and you are enjoying your CSA shares. My apologies for the late email. I travelled to Vermont to see our old employee and buddy, Matthew. He is doing great and working part-time for two really great farms. Vermont is pretty beautiful, too! This is going to be a singular, special event, and it looks like 2 of the previous farmers, including Daniel Parsons and Ryan Cohen, will be in attendance!